Charlie W. DeRoshia is a former Research Psychologist with the Ames Research Center at NASA, a nationally renowned space research center specializing in technology development and research. With nearly half a century’s worth of professional experience in psychophysiology, sleep, fatigue, cognitive performance and data analysis, Mr. DeRoshia was primarily responsible for performing research on fatigue and circadian rhythm prior to his retirement from his position with NASA. He garnered a reputation of prominence for the exceptional efforts that he has demonstrated over the course of an illustrious career, and after retiring, he continues to strive for excellence in his every endeavor. Mr. DeRoshia is a recipient of the Space Awareness Award, as granted by North Central High School through NASA. He also received a Distinguished Alumni Award after graduating from North Central High School. He attributes his success to his education, hard work, determination and passion for his profession. Mr. DeRoshia expertly tested cognitive performance in his former capacity, and he has lectured and given presentations at scientific meetings. Mr. DeRoshia retired in 2005. 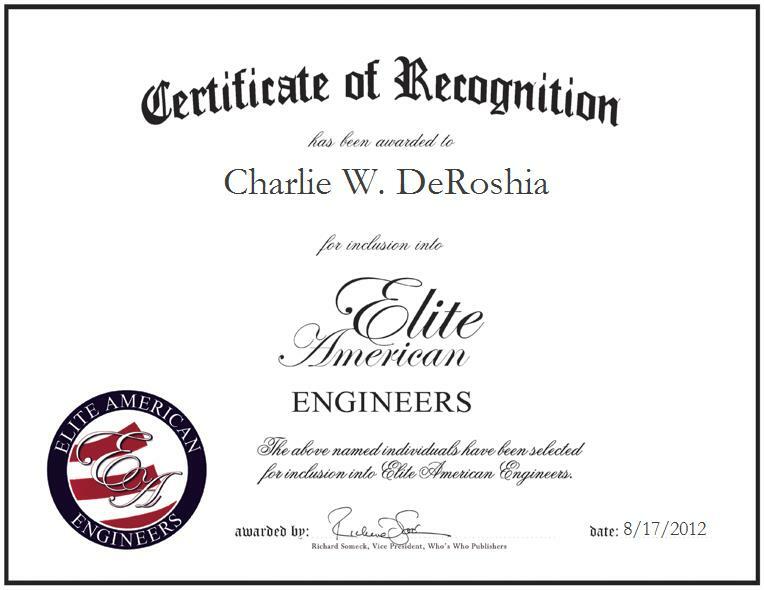 Mr. DeRoshia is currently a member of the Aerospace Human Factors Association, the Aerospace Medical Association, and The Phi Beta Kappa Society. He shines as a luminary in the field of aerospace medicine research, and strives to make valuable contributions to his field; he supports such worthy causes as the Synopsis Santa Clara Valley Science and Engineering Fair and the International Science Fair. He also mentors upcoming professionals, and plays the guitar in his spare time.